Chargrilled broccoli - home cooked food delivered. 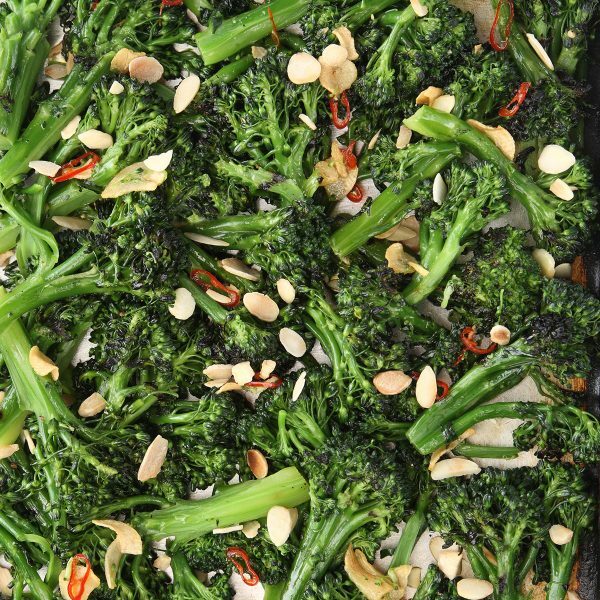 Sweet, succulent green broccoli grilled to perfection, and given a new dimension with red chillies and flaked almonds. A very easy yet impressive dish, this will complement almost any meal, and is as good to look at as it is to eat. Broccoli, olive oil, garlic, red chillies, seasoning, toasted flaked almonds (NUTS). Warm gently in an oven. Pour over dressing, toss and sprinkle with flaked almonds.